The market square was encircled by Murray-, Market-, Van Reenen- and Loop Streets. On the Outspan, originated the Dutch Reformed Church, Gereformeerde Kerk, Methodist Church and the Town Hall. Today, part of it is known as the Mayor’s Garden. 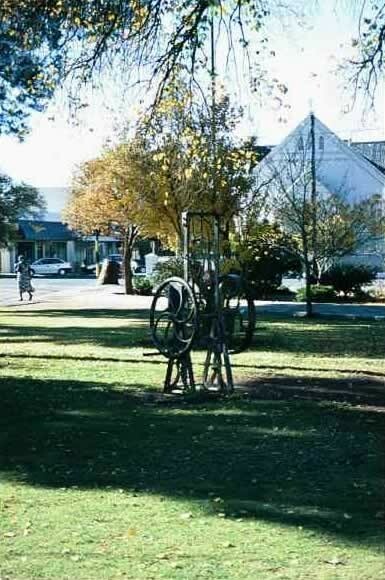 The Old Waterpump, Burger Monument, Steam Roller and Wall of Remembrance can all be found in the Mayor’s Garden.